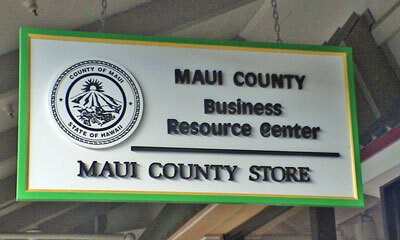 Maui County Business Resource Center workshops. 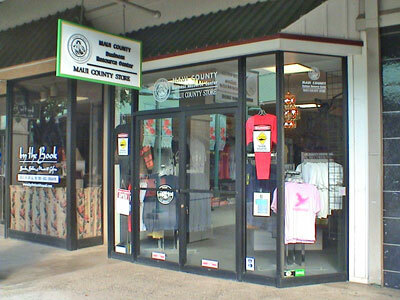 Image courtesy County of Maui. The Mayor’s Office of Economic Development released a list of workshops scheduled in July that are open to the general public. 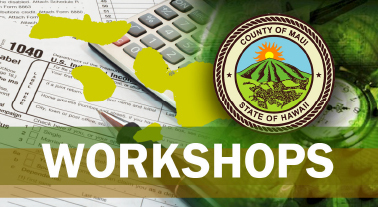 The workshops are offered at the Maui County Business Resource Center and are free unless otherwise noted. Workshops are subject to change or cancellation. Seating is limited, and reservations can be made by calling (808) 873-8247. THE ABC’s Of a Business Plan: Wednesday, July 2, 2014, from 12 to 1 p.m. with instructor Craig Swift. Swift, who is the Director of the MEO Business Development Center, will discuss the reasons for writing a business plan. He has more than 35 years of experience in owning, managing and lending to small businesses. Participants will receive an outline of the business plan taught by MEO’s Core Four Business Plan Course. 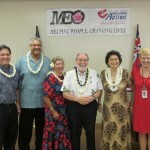 Business on the Grills with MBB Members: Tuesday, July 8, 2014, from 12 to 1:30 p.m. At Maui County Business Resource Center, Maui Business Brainstormers members meet every month to discuss, share and learn subjects related to staring, running and growing own business. Spirited discussions result in information, education and fun. The attendees and the expert business coach contribute with substance to the featured segments: 1) Get to Know your Neighbor: an opportunity to interact with new faces and strengthen your own abilities to socialize with others in fast-paced situations; 2) Business on the Grill: This segment creates a case study for mutual learning. A MBB member submits their own business to be grilled. To apply for this segment, the business must be in operation with sales and the need to grow, but facing challenges. 3) Regular Brainstorming: Attendees have opportunity to present a challenge they are experiencing in their own business for group ideas and suggestions. 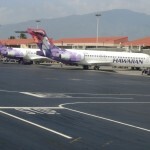 To attend, RSVP at the Maui Business Brainstormers website. Non-members need first to join the free membership of MBB. Marketing 101: How to Craft a Meaningful Marketing Message: Tuesday, July 15, 2014, from 12 to 1 p.m., and Q & A from 1 to 1:30 p.m. with instructor Danielle Miller. What makes your business unique? How do you want customers to remember your product or service? It is essential that all business owners be able to effectively communicate what their business does in a memorable way. Learn how to craft a concise marketing message that people will actually remember. Danielle Miller is a social media marketer, small business enthusiast and founder of a marketing consulting company in Maui. She is on a mission to help small business owners on Maui use social media to market their products and services. Cracking the “Creative Content” Planning Code: Wednesday, July 16, 2014, from 12 to 1:15 p.m., and Q & A from 1:15 to 1:30 p.m. with instructor Nico Fisher. Learn how content planning and strategy can make you more money… online! Learn three easy rules to follow for every writing piece; nine free online PR tools for business; three extra Ninja content-writing tricks; and keyword stuffing – is it okay? Nico Fisher is an energetic entrepreneur with over 20 years of experience in marketing and social media. She is presently a Marketing Strategist, Social Media Consultant and Trainer and is passionate about taking businesses from good to great through various marketing avenues.